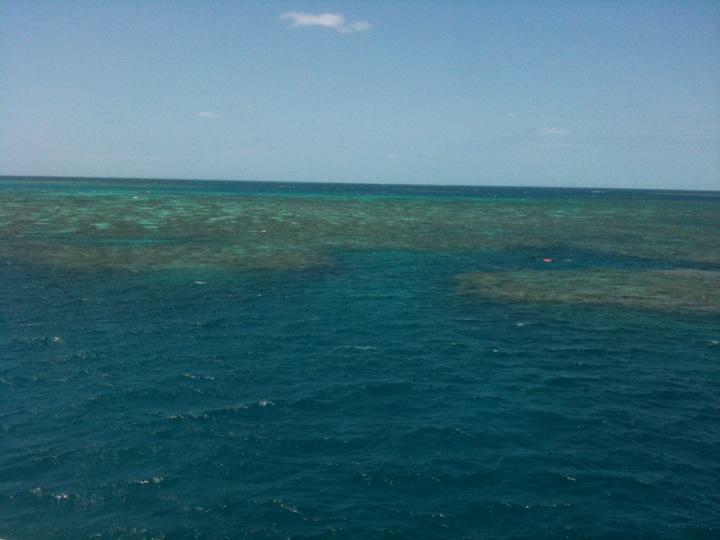 Alicia: So we've come to the end of our Australian Adventure, here in Cairns, Northern Queensland. Been here the past two weeks now and have seen some of our highlights from our whole trip so far. Arrived into Cairns on the Sunday night having failed to find a decent rest stop or cheap campsite for our last night in Freddo, and have stayed in the Nomads Serpent hostel - the same one we'll stay in for our entire Cairns visit since so not had to carry our stuff around too much (though we've had to change rooms three times!) Cairns was supposed to be our 'sorting ourselves out' time before we head to Asia, but also where Mike had booked his eagerly awaited SSI Open Water Dive Course on the Great Barrier Reef. Though Mike didn't start his dive course until Thursday so we pretty much spent the first few days just checking out Cairns, swimming in the hostel's pool and getting bargains from the Night Market. Loved that place. The hostel had a few organised stuff on too so we took our chances at Killer Pool which I sucked at dreadfully though Mike managed a few more rounds than me (Rules are: group of people start off with 3 lives. Each take a turn to pot any ball for the first round. Second round you try with your non dominant hand, and third the person before you has to line the shot up and you use their hand. If you managed to survive til the fourth round, you had to spin around on the spot for 10 secs then shoot) and another night was Bingo Night. Brilliant. Felt so old but actually was a good laugh and got some free Internet, a bandana which Mike's acquired for his luscious locks and a Curly Wurly bar (Mike: which I didn't acquire) :D not a bad haul at all. Mike spent two days in the pool for his course so I decided to look around at reef day trips. After the Whitsundays snorkelling I was way more nervous about going again, but knew I still wanted to do it as I couldn't leave without finding Nemo! In the end I settled for a rather expensive one :S that had some guided tours and a glass bottom boat if I chickened out. All was booked for Saturday when Mike was leaving too. Next few days pretty much were spent buying gifts, posting gifts, sorting out accommodation in Hong Kong, and generally waiting to start our next adventure. Also enjoying 2 massive 'makes economic sense' cakes, the small ones were so expensive that you could get a (much) bigger one for just a bit more money - we had a 'feeds 6-10' custard filled pecan danish over 2 nights. Followed a few days later by an even more massive pavlova, again over only 2 nights (Mike: which followed my Kangeroo steaks I cooked for myself, good meal. Alicia said she couldn't eat skippy though, I say, good job that boy following him around didn't find out how tasty he was. He wouldn't have lasted long and then all those stupid kids would have remained at the bottom of wells). Australia was lovely - a nice break from the craziness of South America and our road trip definitely made it for us. Mike: the things I'll miss about Australia are, my watch, my awesome Bondi T-shirt and a sock. All lost in the void that is Oz.